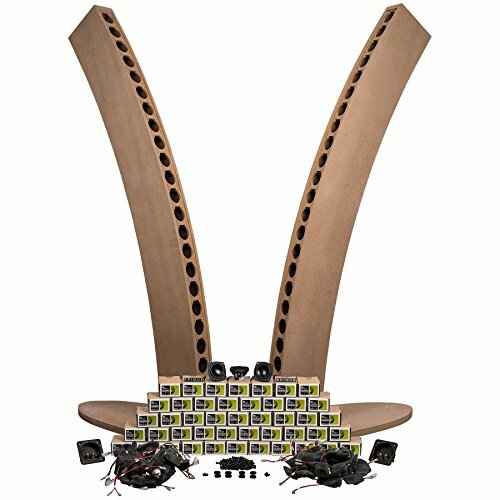 Based upon declassified U.S. Navy underwater sound research, the legendary Don B. Keele Jr., in conjunction with Dayton Audio developed the Epique CBT24 floor-standing curved line array. The CBT24 provides sonic accuracy and sound field coverage control surpassing even the finest high-end loudspeakers. Purchase it now in an easy-to-assemble kit form and save! Buy it in a kit and save! Uniform coverage maximizes "sweet spot"
If you have any questions about this product by EPIQUE by Dayton Audio, contact us by completing and submitting the form below. If you are looking for a specif part number, please include it with your message.